Good news for all fans of Central America: Lufthansa will include the Frankfurt – San José connection in their summer 2018 flight schedule. From 29 March 2018, a non-stop Lufthansa flight will take off every Thursday and Saturday from Frankfurt to the capital city of Costa Rica, the ‘green paradise of Central America’. The connection is thus the second connection offered non-stop by the company from Frankfurt to this region – the first being the connection from Frankfurt to Panama. Both connections complement each other perfectly. So you can now jet off to San José seven times a week from Frankfurt: twice non-stop with Lufthansa, or five times via Panama with a short flight with Lufthansa’s partner Copa Airlines. Costa Rica combines fascinating landscapes, cloud forests, Caribbean flair and heavenly beaches with impressive national parks and rain forests, and is therefore especially popular with travellers who value ecologically important tourism. Flights to San José use an Airbus A340-300, which has 279 seats covering Business Class, Premium Economy and Economy Class. LH518 leaves the Lufthansa Frankfurt hub at 13:45 and arrives in San José in the late afternoon at 17:55 local time. 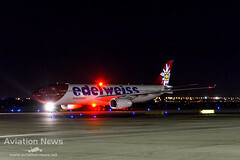 The return flight takes off from San José in the evening at 19:50 and lands at Frankfurt Airport the following day at 15:10 after a flight time of around 11 hours. For more information and to book Lufthansa flights, go to LH.com on the Internet or call the Lufthansa Service Center on +49 (0) 69 86 799 799 (fixed line rate). Flights can also be booked at Lufthansa travel agency partners, as well as at Lufthansa sales counters at the airport. Lufthansa is launching seven new winter destinations starting at the end of October: Pamplona, Genoa, Bari and Catania are the new destinations available from Frankfurt. The offer from Munich will be extended to include Nantes, Glasgow and Santiago de Compostela as further attractive city connections. Pamplona is on the Lufthansa flight schedule for the first time ever. From 6 November onwards, the city in northern Spain will be connected with four weekly flights from Frankfurt. Furthermore, Genoa, Bari and Catania will be new winter destinations available from Frankfurt. Lufthansa customers can reach all three Italian cities up to three times per week. The flights depart starting on 29 October and will expand on the services already offered from Munich. Due to high demand, Lufthansa will also fly to Nantes, Glasgow and Santiago de Compostela from Munich for the first time in winter. There are daily flights to Nantes in western France, with flights to Glasgow four times a week. The Spanish city of Santiago de Compostela is on the flight schedule every Sunday and thus expands the services on offer from Frankfurt. The new winter destinations are now available to book, with fares starting from 119 euros for a return flight. For more information and to book Lufthansa flights, go to LH.com or call the Lufthansa Service Center on +49 (0) 69 86 799 799 (fixed line rate) Flights can also be booked at Lufthansa travel agency partners, as well as at Lufthansa sales counters at the airport. The FC Bayern Airbus will be sporting its new design for the first time when it sets off on a twelve-day journey across Asia for the “Audi Summer Tour 2017”. The journey to Shanghai, Shenzhen and Singapore have been chosen to mark the updating of the old FC Bayern livery. 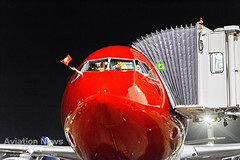 As well as the FC Bayern logo, a total of ten players have been depicted on the aircraft’s fuselage: Joshua Kimmich, Franck Ribéry, Thomas Müller, Javi Martínez and Arjen Robben, and, shown in sporting action: Robert Lewandowski, David Alaba, Manuel Neuer, Thiago and Mats Hummels. The Lufthansa Airbus A340-600, bearing the registration D-AIHZ, will be in service for flights from Munich for a further year in this new design, flying to four different continents. Lufthansa has been the official carrier of FC Bayern since 2004. As well as its long-standing collaboration with FC Bayern, the airline also has partnership agreements with the German Football Association (DFB) and is involved with numerous other popular sports. 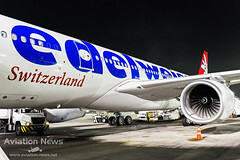 In addition to this, the airline supports the German Sports Aid Foundation as a national sponsor, and has also been a partner of the German Olympic Sports Association (DOSB) for many years. This traditionally includes the transportation of the German teams to the Olympic Games and also to the Paralympics, as a partner of the German Disabled Sports Association (DBS). Lufthansa expands its route network and will offer new intercontinental destinations from Frankfurt and Munich in summer 2018. San Diego (USA) is the second largest city in the U.S. state of California and eighth overall in the Unites States. The city is located in southwest California, close to the Mexican border. Due to the pleasant climate, San Diego is known as „America’s Finest City“ by its residents. The beaches and waves of the Pacific are particularly suitable for surfing. The city is also a hotspot for the biotech and telecommunications industry. Beginning in summer 2018, Lufthansa will offer five weekly San Diego flights from Frankfurt. Likewise in summer 2018, Lufthansa will reintroduce the Singapore route into its flight schedule from Munich. 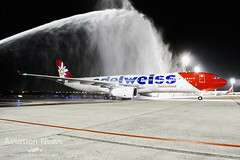 Five times a week, passengers will be able to fly from the Bavarian capital to the lively economic metropolis in Asia. At the same time, Lufthansa will offer more additional flights from Munich to Chicago, USA. Instead of seven times a week, Lufthansa will fly from Bavaria to the „Windy City“ ten times per week. Good news for Airbus A380 Fans in Munich: Starting in summer 2018, Lufthansa will introduce the Airbus A380 in Munich on long-haul destinations to Los Angeles, Hong Kong and Beijing. For this reason, Lufthansa will transfer five of its 14 Airbus A380s from Frankfurt to Munich. As a result up to 500 new positions will be staffed in Bavaria. Lufthansa is showing a clear sign for continued growth in Bavaria. Over the next two years, the Lufthansa long-haul fleet in Munich will be receiving two more aircraft. Ethiopian Airlines, the largest airline in Africa, has placed an order for 10 additional Airbus A350-900 aircraft, enabling further development of its fast expanding long-haul route network. Last June, Ethiopian Airlines became the first African carrier to operate the A350 when it took delivery of the first of 12 aircraft in order. Today the carrier operates a fleet of four A350s, two of which are on lease. Today’s order tops-up the Addis Ababa-based carrier’s fleet, enabling it to pursue its growth strategy and objectives over the coming years. Ethiopian Airlines’ A350-900s are configured in a two class layout seating 30 passengers in Business Class and 313 in Economy Class. The spacious, quiet interior and mood lighting in the cabin contribute to superior levels of passenger comfort and well-being. “Operating the youngest fleet in the industry with modern and comfortable customer features in the cabin is one of the four pillars in our 15 years strategic road map, vision 2025, and this order placement for additional A350s is one component of this strategy. The performance, operational and cost efficiencies we have achieved with our initial A350-900s have resulted in these additional ten aircraft order placement and thereby suffice our ever-expanding global network. We will deploy the additional aircraft on our long haul routes connecting Addis Ababa with destinations in Africa, Europe, the Middle East and Asia,” explained Tewolde GebreMariam, Group CEO of Ethiopian Airlines. “Ethiopian Airlines’ repeat order is a resounding endorsement of the A350, its suitability, flexibility and unmatched economics. We are delighted that innovative aircraft as the A350 are closely associated with the world’s fastest growing and profitable carriers,” said John Leahy, Airbus Chief Operating Officer Customers, Airbus Commercial Aircraft. To date, Airbus has recorded a total of 851 firm orders for the A350 from 45 customers worldwide, already making it one of the most successful widebody aircraft ever. Like previous Delta orders for the A321, the 10 aircraft announced today are for the Current Engine Option version of the largest Airbus A320 Family member. 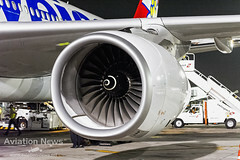 The airline took delivery of its first A321 in March of last year. Delta now has ordered a total of 122 A321s, each powered by CFM56 engines from CFM International. All of Delta’s A321s feature fuel-saving Sharklets – lightweight composite wingtip devices that offer up to 4 percent fuel-burn savings. This environmental benefit gives airlines the option of extending their range up to 100 nautical miles/185 kilometres or increasing payload capacity by some 1000 pounds/450 kilograms. Many of Delta’s A321s are being delivered from the Airbus U.S. Manufacturing Facility in Mobile, Alabama. The airline received its first U.S.-manufactured A321 last year. By the end of 2017, the Airbus facility in Mobile is expected to produce four aircraft per month, most going to Airbus’ U.S. customers. As of the end of May, Delta was flying a fleet of 188 Airbus aircraft, including 146 A320 Family members and 42 A330 widebodies. Later this year, Delta will become the first U.S. airline to operate the new Airbus A350 XWB, or eXtra Wide Body aircraft. Delivery of Delta’s first A350 is slated for this summer. The Largest Overhead Storage Compartment (OHSC) in its Class: Called the “Airspace Bin”, it not only allows eight, instead of five bags, per four-frame bin, but also accommodates bigger and heavier bags stowed vertically. Iconic Ceiling Lighting: Featuring a fully customized on-board luminary experience, that begins at the entrance with a welcoming ambiance and continues throughout the aircraft with variable lighting features. New Sidewall Panels with Increased Cabin Width: One more inch at shoulder level for extra personal space. New Window Bezel: The new fully-integrated window shades provide passengers more window space and unobstructed view, evoking the feel of the A350. New Lavatory Design: The new spacious design also features coloured mood lighting, along with anti-bacterial coatings, automatic aroma dispenser, sound and optional touchless options. Coloured LED Lighting: Leveraging 16.4 million colour options, the new custom-cabin mood lighting creates a personalized in-flight experience at 30,000 feet throughout the cabin. Harmonized Door Surround: The new lines of the frames match the Airspace design of the A350 XWB and the A330neo. Additional features such as the less obtrusive cabin sidewall panels and lavatory options (‘Smart-Lav’ and ‘Space-Flex’) maintain a consistent design to the popular Airspace wide-body series. Passengers will also appreciate the modular IFE platform with overhead video and in-seat audio/video on-demand, as well as the provision for in-seat power, wireless flexible connectivity and mobile telephony (GSM on board). The full Airspace Interior package is targeted for 2020 and will retrofit to the current hardware. Airbus is a global leader in aeronautics, space and related services. In 2016, it generated revenues of €67billion and employed a workforce of around 134,000. Airbus offers the most comprehensive range of passenger airliners from 100 to more than 600 seats. Airbus is also a European leader providing tanker, combat, transport and mission aircraft, as well as Europe’s number one space enterprise and the world’s second largest space business. In helicopters, Airbus provides the most efficient civil and military rotorcraft solutions worldwide.